BKV Group’s latest high-rise project in Minneapolis is “240 Park Avenue,” a metropolitan residence operating under an “urban refined” concept – a building rooted in its context but designed with a contemporary edge. A 17-story, 204-unit mixed-use building, 240 Park Avenue has an impactful urban presence with an especially strong focus on the pedestrian experience. Positioned on a very tight, urban in-fill site, the 411,000-square-foot residence skillfully resolves being closely adjacent to existing structures by not building right up to the property line in order to maintain the function of the neighboring buildings. Additionally, the design is pulled back at the street edges to provide added space in the pedestrian realm, allowing green space to come forward, and creating a welcoming retail experience. 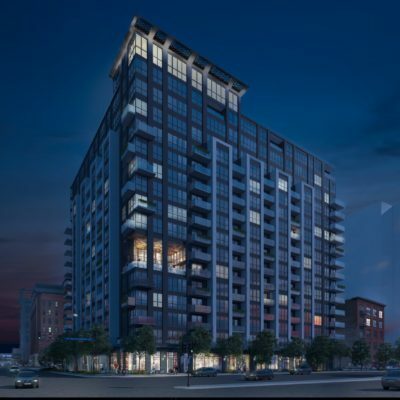 Key to designing the building this way was BKV Group holistically studying the emerging East Town neighborhood and the Park Avenue and Portland Avenue corridors, where 240 Park Avenue resides. 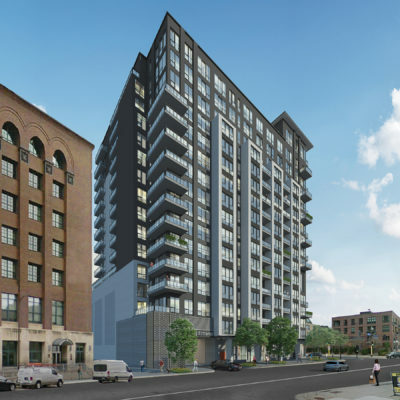 Once the main thoroughfare in Minneapolis, Washington Avenue – the other cross street at Park Avenue – is reemerging alongside other areas of development in the city. 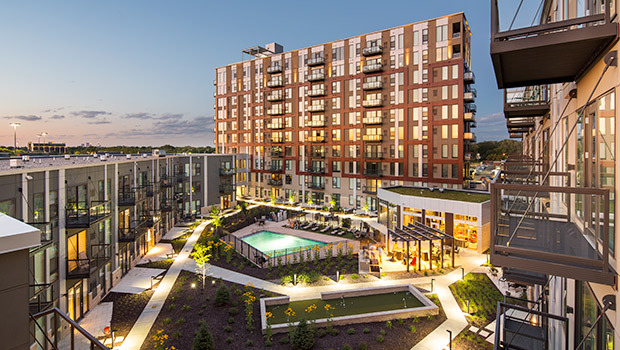 Supported by local businesses, Washington Avenue aims to reclaim itself as one of the grand avenues in the Twin Cities, and recreate connectivity to the larger downtown area. One of the most intriguing design elements is The Lanai – a two-story space carved into the corner of 240 Park Avenue to create outdoor opportunities for views facing the Mississippi River. 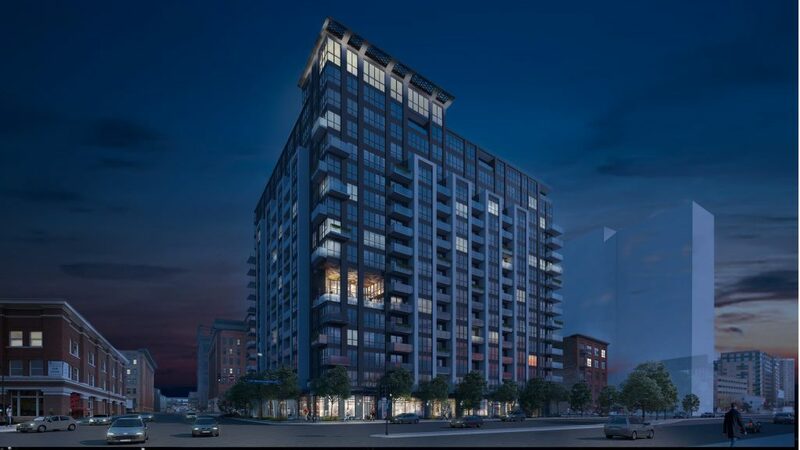 The Lanai will also create a terrific branding opportunity via video screens and a “lightbox” designed to project imagery and digital forms on the ceiling of the outdoor space – glowing and creating a beacon at night. Also unique about the quarter-block-sized residence is the interior drop-off sequence. Through a cleverly designed interior porte cochere (a covered drop off space for vehicles) on the first level, residents can seamlessly make their way into the building. This feature will be especially useful during the colder winter months. 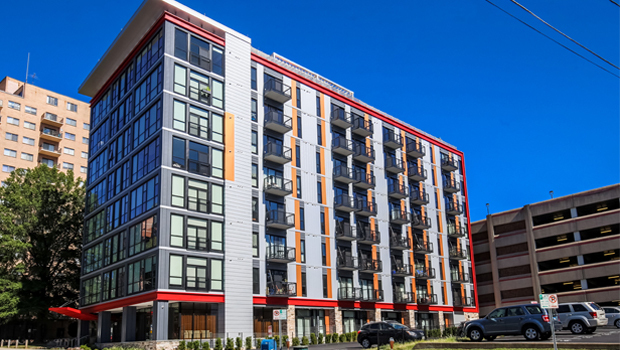 Once inside, residents can enjoy views not only to the river and skyline. Also, thanks to a community art collaboration, residents and visitors alike will be able to take in stunning commissioned murals canvasing the neighboring structures. 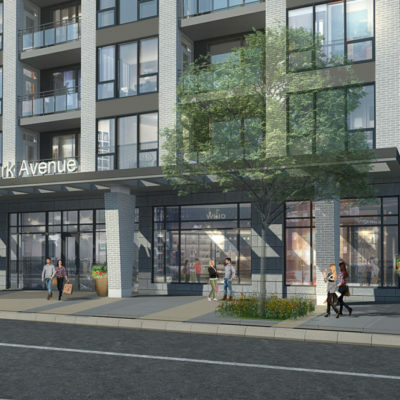 Check back for more details in the coming months as 240 Park Avenue makes its way to completion in late fall 2020. A metropolitan residence rooted in its context but designed with a contemporary edge.